Rub pork with caraway seeds and salt. Place in slow cooker. 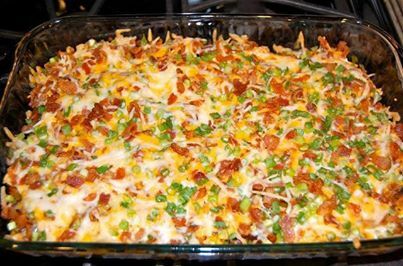 Top with bacon pieces and garlic. Add carrots. Pour chicken broth over everything. Cook on LOW 6 hours. Take out the pork and cut into bite-sized pieces. Add the coleslaw to the juices and mix up. Return Pork to the pot. Cook on LOW 2 hours more. Cook noodles according to directions. Serve pork and cabbage over noodles. 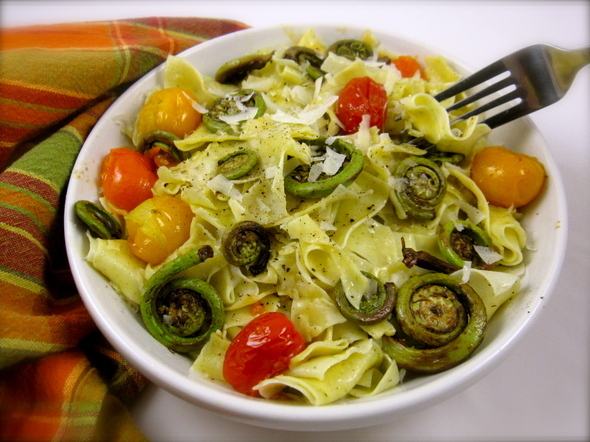 EASILY CONVERTS TO GLUTEN FREE WITH GLUTEN FREE NOODLE OR USE QUINOA INSTEAD! Prepare the sauce by mixing all the ingredients thoroughly until smooth. Add more olive oil (I would add more broth) if the consistency is too thick. Taste test and adjust as necessary. 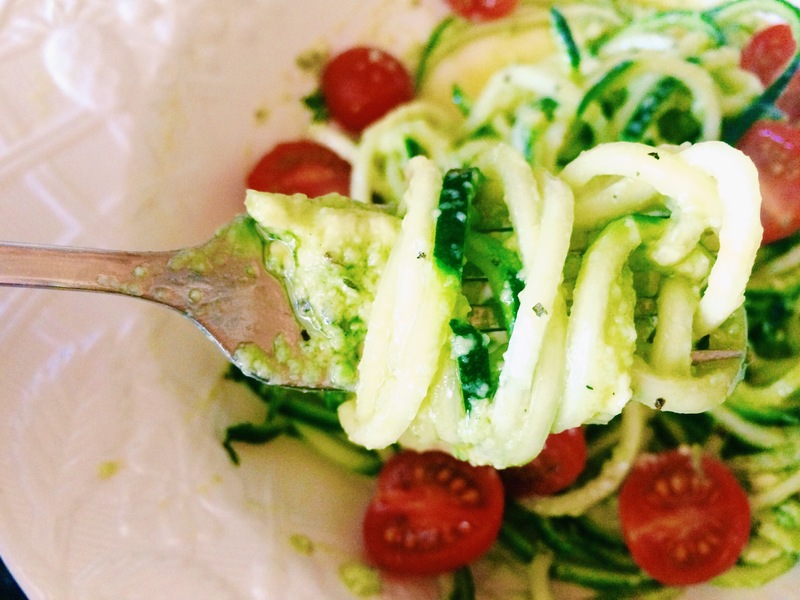 With a Spiralizer spiralize zucchinis with Blade C (the small noodle tray option) and place into a bowl. (I do not have a spiralizer so I used a grater.) Add in cherry tomatoes cut in half, basil leaves, salt and pepper. Then toss with ½ of the Avocado Basil Sauce and taste test to add more sauce. * Only add salt and pepper if needed at the table after tasting. You can also use other spice blend like Mrs. Dash to keep sodium intake to a minimum. Place the diced butternut squash, sliced onion, jalapeno and poblano pepper in a 9 x 13” baking dish and toss with the olive oil. Sprinkle with cumin and salt & pepper (to taste) then mix until evenly distributed. Roast vegetables in the oven for about 40 to 45 minutes, until the squash is tender. Remove from oven then lower temperature to 350°F. Transfer vegetables to a large bowl along with 1 cup salsa, drained and rinsed black beans and chopped cilantro. 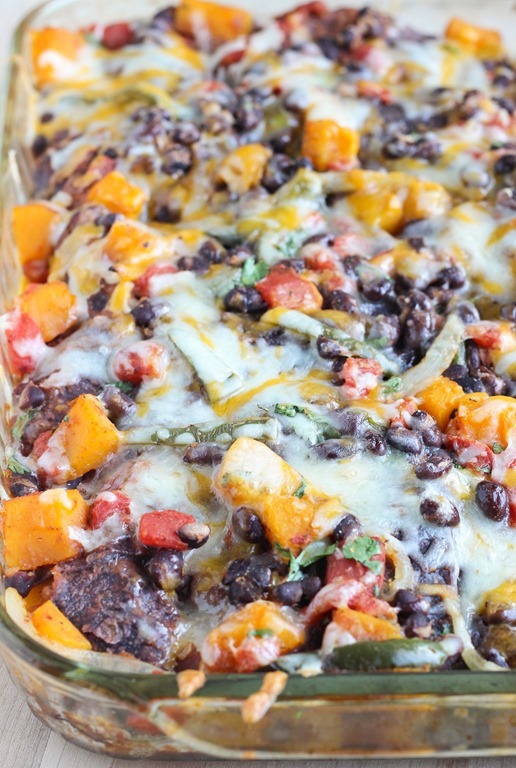 Using the same baking dish that you roasted the veggies in, prepare the casserole by spreading 1/3 cup of the salsa along the bottom, then cover with a layer of two tortillas. Top the tortillas with 1/3 of the roasted vegetable mixture then 1/2 cup cheese. Layer two more tortillas on top of the vegetables followed by the 1 cup of baby spinach leaves. Top with 1/3 cup of the salsa and another 1/3 of the roasted vegetables then 1/2 cup shredded cheese. Lastly, layer two more tortillas, the last 1/3 cup salsa and the last 1/3 vegetables on top. Sprinkle with remaining cheese and place in the oven for 20 minutes. Allow to cool for five minutes then cut into squares and serve. Garnish with avocado or plain Greek yogurt. HAVE YOU HEARD OF QUINCE FRUIT? Fragrant rich quince fruit is a member of Rosaceae family of pome-fruits. Native to Asia Minor, it is a popular delicacy. Quince is rarely eaten raw but used in cooking where just a small wedge it imparts the whole recipe with a pleasant fruity aroma. 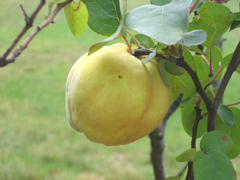 Quince is the only fruiting tree in the genus: Cydonia. Scientific name: Cydonia oblonga. 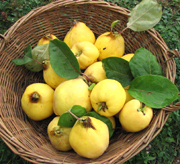 Quinces are medium sized semi-tropical deciduous trees, growing to about 10 to 15 feet in height. Pink-white flowers appear in the spring and early summer, which develop into golden color pear-shaped fruits. The fruit is larger than average apple and bumpy; appear somewhat like large guava, avocado, or as short-necked pear fruit. Its fuzzy surface is smooth as in peaches. The quince fruit weighs on average about 4 to 5 ounces (500g) yet some varieties weigh more. Inside, its flesh is light yellow, gritty and has multiple poisonous seeds concentrated at the center as in apples. Raw quince has intense fruity smell and together with its bright yellow color instantly attracts the fruit lover’s attention. However, raw fruits, even after they ripen, are generally astringent and tart. Quince is low calorie fruit. 100 g fresh raw fruit provides 57 calories. In addition, it composes several more vital poly-phenolic antioxidants than apples and pears. The fruit is the storehouse for phyto-nutrients such as dietary fiber, minerals, and vitamins. Quince pulp along with its peel contains good amounts of fiber. Further, its gritty granules in the pulp are composed of astringent compounds known as tannins namely, catechin and epicatechin. They bind to cancer-causing toxins and chemicals in the colon, protecting its mucous membrane from inflammatory bowel disease (IBD), cancers, and diverticulitis. In addition, it helps reduce body weight and blood LDL cholesterol levels. It has several phenolic compounds such as caffeoylquinic acid, procyanidin-B2, oligomeric procyanidin, polymeric procyanidin etc., and essential oils like furfural, limonene, linalol, vomifoliol, toluene, β-ionone, α-terpineol, etc. Together; these compounds give quince its unique fragrance. The fruit is a good source of minerals such as copper (130 µg or 14% of RDA), iron, potassium, and magnesium as well as B-complex vitamins such as thiamin, riboflavin and pyridoxine (vitamin B-6). Although not well documented, quince fruit, like pears, has anti-allergenic and anti-inflammatory properties. The fruit as well its seed’s extraction is suggested in the treatment of cystitis, atopic dermatitis, recommended by health practitioners as a safe alternative in the preparation of food products for allergy sufferers. Once at home, Quinces stay well for up to a week when kept open in cool, dark place away from heat, and humidity. They store for several weeks placed in the refrigerator. Raw quince is extremely sour and astringent as it has rarely eaten uncooked. Its bitter taste and choking feeling in the mouth is due to certain chemicals in the fruit known as tannins. Cooking destroys these compounds while retaining fragrant rich essential oils and aliphatic compounds in the fruit. With the addition of sugar or honey, the fruit makes excellent flavorful sweet and savory recipes, jams, jellies, and preserves. To prepare, just wash the fruit in cold water. Cut the fruit in quarters as you do in apples and pears. Remove central core, and seeds using paring knife. Cut In small chunks or wedges and add in the cooking. Quince fruit makes wonderful addition in the confectionery. Some of the traditional sweet delicacies like pies, tarts, cakes, jams (membrilo), marmalade, jellies, etc., uses this fruit to acquire special flavor. The fruit pulp can also be employed in stews, as a addition to seafood, poultry, and lamb preparations as a flavoring base. ANOTHER GREAT MEAL FOR FRIDAYS IN LENT! Cut sweet potatoes into cubes and place in large microwave safe mixing bowl. Add hot water to cover and microwave on HIGH 10-15 minutes. Drain and mash. Add black beans to the mixing bowl and mash half of them for texture. Add 1 cup rice, onion soup, sunflower seeds and spices. Add garlic and eggs. Mix to combine. Add baking mix a little at a time – consistency should be thick and moldable. Form into burgers 1/4 to 1/2 inch thick to fit the size of your rolls. Preheat George Forman Grill and coat with non-stick cooking spray. Using the George Forman Grill cuts cooking time in half but you can use your outdoor grill, skillet or oven to cook as well. Serve on Ciabatta or whole wheat rolls with slices of onion, lettuce and tomato. My husband usually likes a slice of cheese on top as well and loads of ketchup! Extra burgers can be frozen for later use. WE HAD OURS WITH A FRESH SALAD AND SOME HOMEMADE STEAK FRIES! 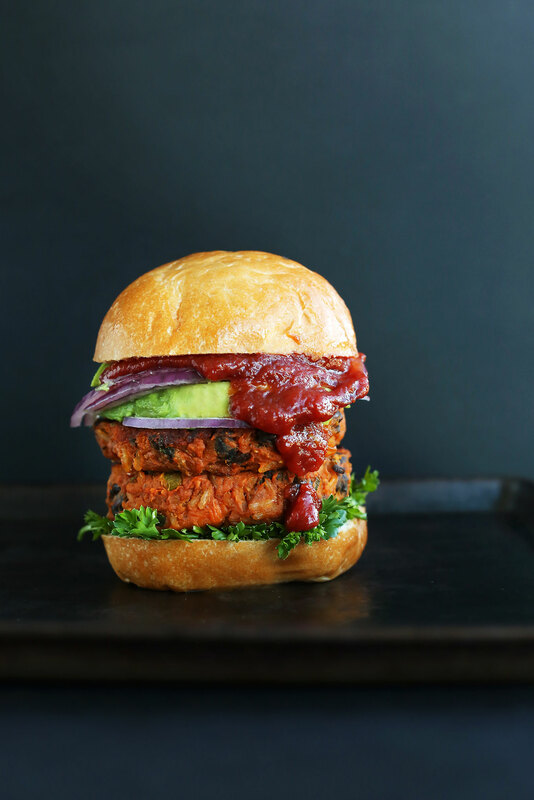 **THIS RECIPE MADE SEVEN HUGE 5″ ROUND AND 1/2″ THICK BURGERS SO I DID FREEZE SEVERAL FOR LATER USE. I MIGHT HALF THE RECIPE NEXT TIME AND HOPEFULLY MAKE ABOUT 4 SLIGHTLY SMALLER BURGERS. EACH WEEK I SEARCH THE DEALS ON MEATS TO TRY TO SAVE MONEY ON GROCERY BILLS. I GOT SOME THIN SLICED PORK LOIN CHOPS (PERSONALLY I LIKE A THICK LOIN CHOP ON THE GRILL) ON SALE AND THOUGHT THEY WOULD MAKE A GREAT STIR FRY SO I FROZE THEM FOR LATER USE. THE DAY OF THE STIR FRY I COOKED UP A BOX OF RICE-A-RONI LONG GRAIN AND WILD RICE AS DIRECTED AND SET ASIDE IN A MICROWAVE DISH. I PLACED THE FROZEN CHOPS IN THE CROCK POT WITH 1/2 CUP OF LITE KRAFT ASIAN TOASTED SESAME SALAD DRESSING AND 1/4 CUP OF SOY SAUCE. I COOKED THEM ON LOW ABOUT 4 HOURS THEN CUT THE CHOPS UP AND RETURNED THEN TO THE CROCK POT. I ADDED A PACKAGE OF FROZEN, SOMEWHAT THAWED BAG OF BABY BROCCOLI FLORETTES AND A BAG OF BABY VEGETABLE STIR MIX (SNOW PEAS, CARROTS AND CORN COBS) PLUS SOME FRESH SNAP PEAS AND COOKED ANOTHER 2 HOURS ON LOW. IN THE LAST TWENTY MINUTES BEFORE SERVING, I HEATED SOME FROZEN PORK EGG ROLLS AS DIRECTED AND REHEATED THE RICE IN THE MICROWAVE. I SERVE THE RICE WITH SOME FRESH COLE SLAW OR BROCCOLI SLAW FOR A BIT OF A CRUNCH. 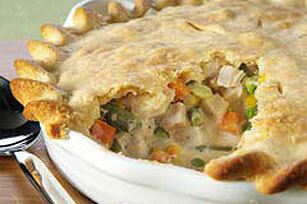 THE PORK AND VEGGIES GO ON TOP WITH A SPRINKLE OF PEANUTS OR CASHEWS. THE EGG ROLL GOES ON THE SIDE. In a large pan heat your olive oil… add your meat and onions…cook till no longer pink…add garlic…cook another min. 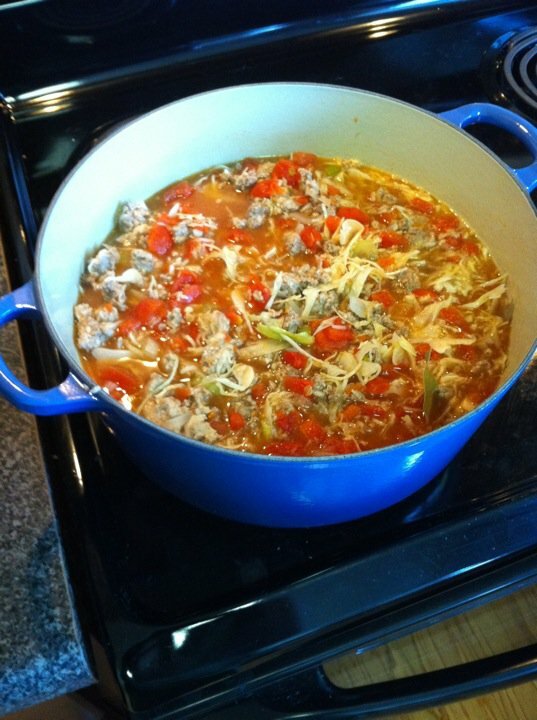 Add the chopped cabbage, tomatoes, tomato sauce, water and seasonings…bring to a boil…cover and simmer for 20 to 30 min…or until cabbage is tender. 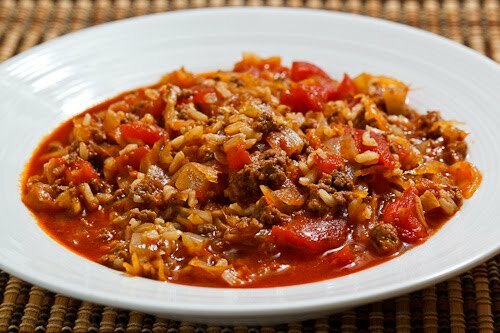 **I HAVE ALSO SEEN THIS RECIPE WITH A CAN OF SAUERKRAUT WITH THE LIQUID ADDED AND/OR SOME LONG GRAIN BROWN RICE.